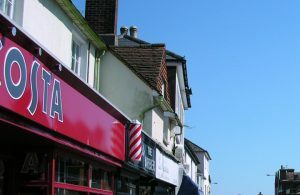 Retail business is steadily improving in Hailsham, with latest figures showing that the town centre still falls well below the current regional and national averages of vacant ground floor commercial units. In recent years, the town centre has welcomed a range of new businesses into the town centre, including those which have expanded and subsequently relocated to larger premises and retail spaces. According to a recent vacancy rate survey conducted by Springboard, the percentage of vacant ground floor units in Hailsham currently stands at 7.2%, a decrease from 7.8% in April of last year. This compares to a current regional/South east average of 7.7% and national average of 8.9%. To coincide with the good news, Hailsham Town Council is encouraging people to ‘shop local’ and avoid the ‘lure’ of doing all their shopping online or in neighbouring towns. “While it may be tempting shop solely online, people need to consider all of the implications for local bricks and mortar businesses,” said Deputy Town Clerk & Business Enterprise Manager Mickey Caira.